Have scaffolding but aren’t sure how to use it? Let Superior Scaffold train your workers on the proper use of that equipment. It sounds really simple, but every year we get photos like this one. Our experts are the best in the business and can quickly train you on the safest way to utilize the equipment. Call Superior Scaffold today at (215) 743-2200 to set up On-Site training or a class at our facility. We are the scaffold industry leader in the tri-state area and with over 50 years in the business, and an impeccable safety rating, we know a thing or two about proper end user training. 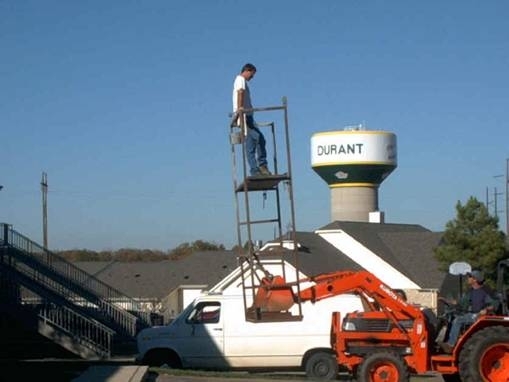 Safety and use training is available for suspended scaffold, fixed scaffold and even mast climbers. 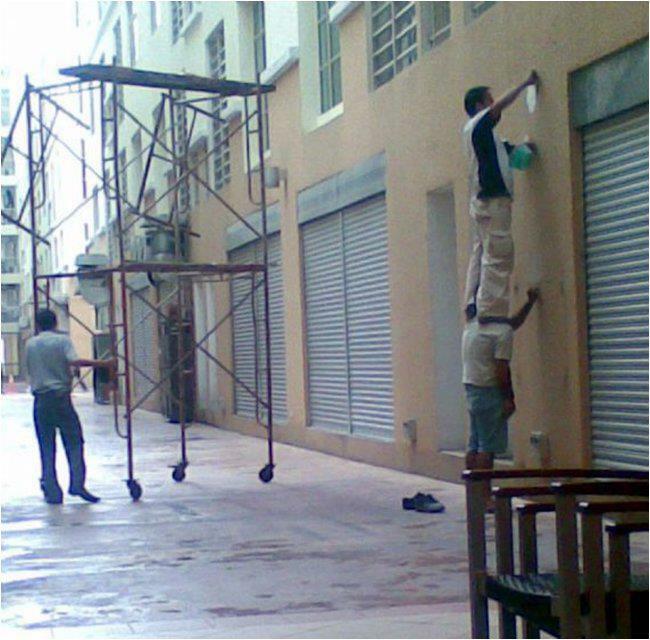 Don’t win one of the scaffolding Darwin Awards. Or worse, lose your life because you didn’t properly use the scaffold.